If you have a Mac computer, you probably love it, but the one thing it lacks is consensus. Most software is written for Windows because most people have Windows computers, and most people buy Windows computers because they need to run software that is written for Windows computers. If you have a Mac and you need to run Windows programs, you have three options. Buy a Windows computer. This is the most expensive option, but also the easiest to set up. Purchase a copy of Windows and install it on a bootable partition of your Mac. Apple refers to this as “Boot Camp.” Each time your computer turns on, it will ask you if you want it to be a Mac computer or a Windows computer. This setup is best if you don’t need to run Mac programs and Windows programs at the same time, because if you want to switch to “Windows” mode or “Mac” mode, you will have to restart your computer. It is also the best option if you need to run resource-intensive applications in Windows, such as games, movie editors, or other programs with lots of 3-D rendering. Purchase a copy of Windows and install it on a virtual machine. A virtual machine is a software program that pretends to be its own computer. You can install a virtual machine on your Mac, and then install Windows on that virtual machine. You will start up your Mac like normal, then open the virtual machine and start up Windows. 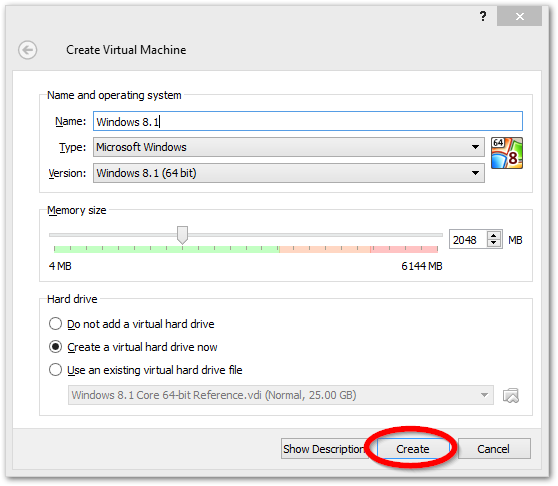 You can switch back and forth between your programs running on the Windows virtual machine and the Mac real machine without having to restart. A copy of Windows running on a virtual machine will be slower than Windows running on its own disk partition (because the hardware has to be running the Mac operating system, the virtual machine, and the Windows operating system all at the same time). I’m going to do a tutorial for #3, because this is the option that will work best for most Lowry users it’s the one I know how to do. However, Boot Camp is a better option. Download the Windows 10 ISO here. You can purchase a license later. Download and install VirtualBox from Oracle’s website (it’s free): https://www.virtualbox.org/wiki/Downloads. You want the virtualbox for OS hosts (OS X, at the time of this writing). Run VirtualBox and click “New” on the toolbar at the top. Name the machine “Windows 10.” VirtualBox should automatically select “Microsoft Windows” for the type and “Windows 10 (64-bit)” for the version. You should be able to leave the other settings as the default settings that VirtualBox picks. Click “Create” again on the next window. You won’t need to change any of the settings on that window, either. A new window will open with the machine’s startup screen, with a smaller window over it asking you to select the startup media. Browse to the Windows ISO you downloaded (or to the DVD you purchased) and select it as the startup media. Windows will begin to install. This will take a while. When it finishes installing, it will ask you for the product key that came with your purchase. Then it will ask you to create a user account and pick your default settings. Once you are at the Start screen or desktop, go to the Devices menu and select “Insert Guest Additions CD Image.” This will insert a virtual CD in the virtual machine’s virtual CD-ROM drive. Windows will notice and a box in the top right corner will ask you what you want to do with the CD. Click the box to run the CD’s installer. This software will let Windows know that it is installed on a virtual machine and not on a real machine, and will give it instructions about the ways it needs to behave differently than it would otherwise. Install whatever other software you need for Windows. Ninite.com lets you select and install a lot of useful software at the same time quickly and very easily; just go to Ninite.com in your Windows browser (Internet Explorer), check the boxes for all the software you want, and click “Get Installer.” It will install all of the software at once without asking you to click “Next” a whole bunch of times. If you’re not sure what software you want/need, click here to download the software I recommend. Note that you have to do this in your Virtual Machine Windows browser, and not in your Mac browser (Safari) or it won’t work. When you’re done using the virtual machine, shut it off using the Windows shutdown command, or just close it. Note that the Windows operating system and the Mac operating system are completely separate. Programs, files, and webpages that you open in Windows can’t see the programs, files, and webpages in your Mac OS, and vice versa. If you download and install a program on the Mac side, it will only be installed for your Mac, not for your Windows. You have to treat them as if they are two completely separate computers, because for all intents and purposes they are.